NEW YORK - Texas Central Railway, a privately funded project aimed at bringing high-speed rail travel to the Lone Star State, hopes to revolutionize the U.S. transportation system by partnering with Central Japan Railway Co. to build a bullet train line between Dallas and Houston by 2021. The almost 400-km route will run through relatively flat land, which TCR says makes JR Tokai’s N700-I shinkansen ideal for whisking passengers between the two cities in around 90 minutes at speeds up to 322 kph. The company hopes to run one train every 30 minutes and increase the frequency as demand grows. 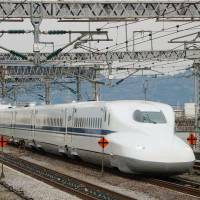 In Japan, the N700 series trains for the Nozomi bullet train service link Tokyo and Osaka in less than 2½ hours. Japan’s two major metropolises, roughly 400 km apart as the crow flies, are connected by a track that stretches just over 510 km. “The topography in Texas is such that the N700 is pretty easy to do,” Schieffer said, adding that a bullet train would also be cheaper to build than the magnetically levitated train system JR is developing, a technology being considered for linking up cities in the Northeast. 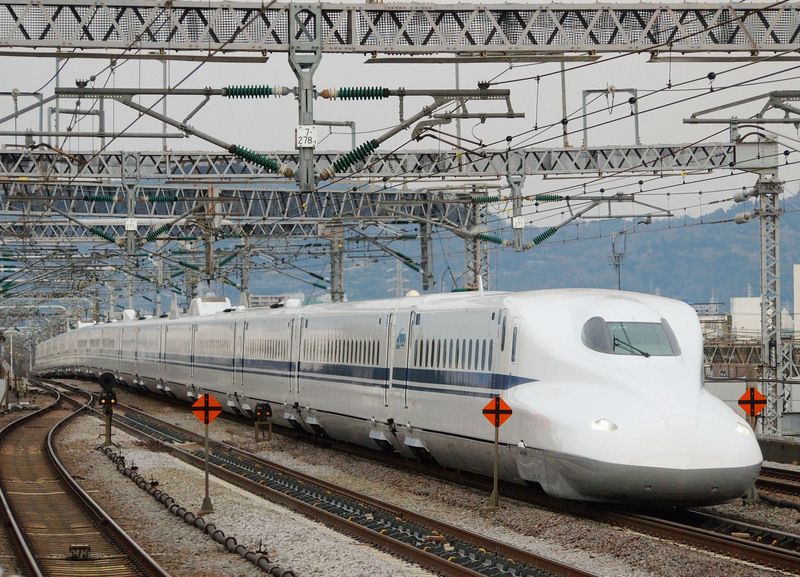 TCR says JR Tokai will work closely with it to provide the operating mechanisms and technology needed to jump start high-speed rail travel in the United States. TCR expects the metro areas of Dallas and Houston, with populations of about 6.4 million and 5.9 million, respectively, to double in size over the next 20 years as their large economies grow. The company hopes to provide an attractive alternative to the crowded airports and traffic-clogged highways that serve the two cities. Ticket prices for the high-speed train will be “competitive” with airfares, Shieffer said. “If we don’t do something to move people in larger numbers from metropolitan areas to metropolitan areas, the future growth that we’re going to have is going to smother it, not enhance our lifestyle,” he said. Unlike other high-speed rail projects currently in development in the United States, privately held TCR, officially known as Texas Central High-Speed Railway, plans to build its network without government subsidies. Although the project will have to rely solely on private investors, the company says its independence from tax dollars is a major strength. “We think we can make it work as a private sector project and because of that, we think we can build it cheaper and faster than you could do it if you were depending on public funds,” Schieffer said. Although the Texas company has not revealed the cost of obtaining the land, buying the trains and building the rail lines and stations needed, local media have reported that the project is expected to cost about $10 billion. In June, the Federal Railroad Administration approved the company’s bid to begin an environmental impact study, a strategic first step in developing the exact route.